Coming on the heels of the Eat Think Vote campaign, food movement leaders from across Canada gathered in Montreal on November 15th for a conversation about next steps for food policy in Canada. 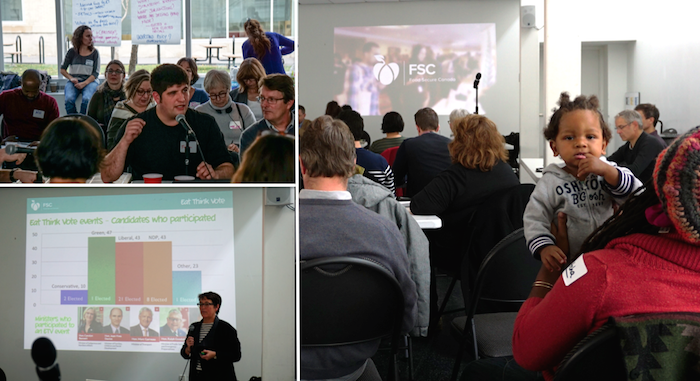 Just two days after the Minister of Agriculture received instructions to develop a national food policy, and immediately following the Changing the Menu conference on school food, the excitement in the room was palpable. There’s no question we are in a different place with regards to food policy with the election of the Trudeau government. Most significantly, the Prime Minister has instructed Lawrence MacAulay, Minister of Agriculture to “develop a national food policy that promotes healthy living and safe food by putting more healthy, high quality food, produced by Canadian ranchers and farmers, on the tables of families”. Food Secure Canada has been working for this commitment since the publication of Resetting the Table back in 2011. There’s also a renewed sense of collaboration, and the new federal government seems more willing to work with a variety of food system stakeholders than the previous one. So there is cause to be optimistic about the future of our food system and a national food policy in Canada, but there is still a lot of work to be done to ensure that this new policy brings us towards food sovereignty and our goals of zero hunger and healthy, safe and sustainable food. That means many of us need to be at the tables where food policy is being discussed, which is one reason Food Secure Canada is keen to explore the idea of a National Food Policy Council. 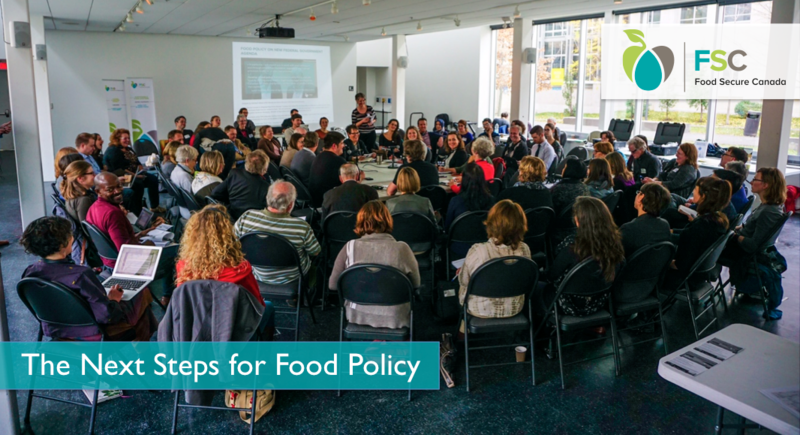 Many people intervened during the discussion to speak to the process of creating the food policy, and the need for a variety of voices to be involved. Liberal MP from La Prairie, Jean-Claude Poissant listened carefully to the afternoon’s debates and insisted on the importance of citizens, organizations and politicians working together to build a sustainable future for food in Canada. The new federal government has also stated its intention to develop an anti-poverty strategy and to improve Nutrition North, providing yet more opportunities for meaningful policy reform on the key issues we campaigned on. Food sovereignty should remain the framework for our actions as we raise our voice in favour of a universal school food program and renewed support for the next generation of farmers. Food Secure Canada’s call for a national food policy has always been holistic and it therefore cuts across several government departments. 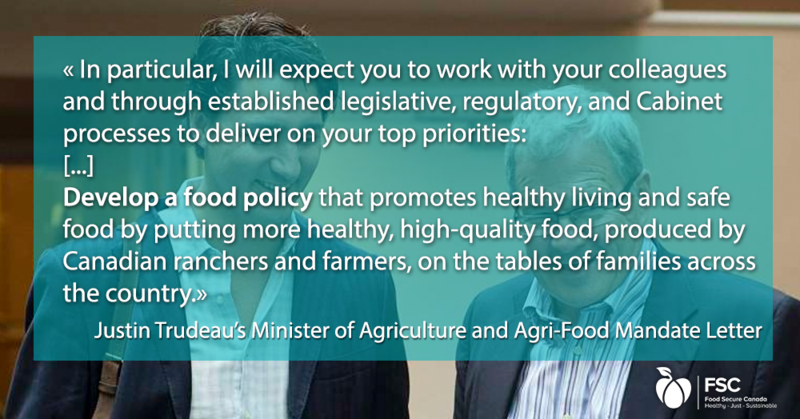 Trudeau’s instructions to create a Canadian food policy were directed solely to Agriculture and AgrI-Food Canada but we are hopeful that the Minister will understand that other departments -- especially Health Canada-- need to be involved. The new Government needs to recognize that food policy is intimately related to the fight against climate change, better health, sustainable fisheries, fair trade, rights of indigenous and Northern peoples and poverty elimination (to name a few). 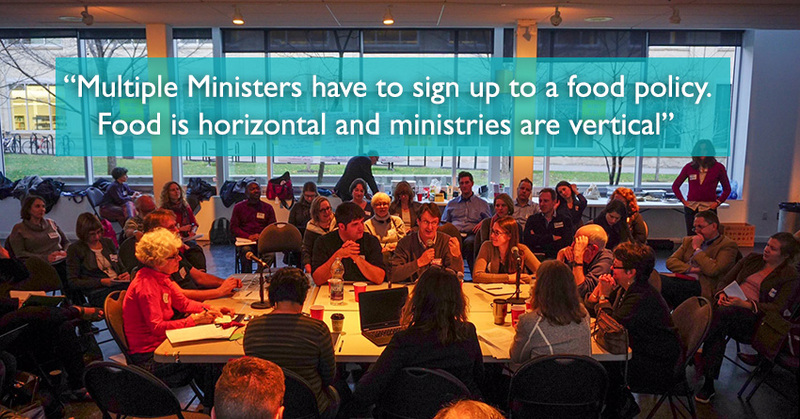 “Multiple Ministers have to sign up to a food policy. Food is horizontal and ministries are vertical” said Keith Robinson, a former official in the Department of Agriculture. “What we are really looking for is a joined up food policy that links all these different food systems functions and behaviors to the goals of health promotion, food justice and environmental sustainability” explains Rod MacRae, food policy analyst at York University. “Part of what we will have to help government to think about is where are the places of intersection in the policy system that are historically divided”. 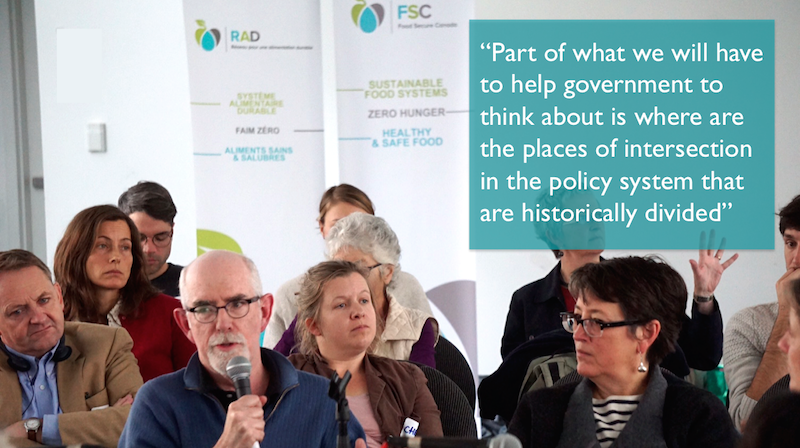 One of the structures that could be put in place is a National Food Council, “an interesting institutional place for intersection between on-the-ground community work and policy advocacy” said Rod MacRae. “We need places where this bridge between community organizing and policy advocacy can happen and a National Food Policy Council is potentially one of those places”. Many participants argued that Food Secure Canada’s role in developing a national food policy needs to be both critical and collaborative. As one participant said “The current federal government will likely do less harm, and be open to more good. How much good it does for our food system depends on how much it is pushed by us”. We certainly cannot afford to be idle now. 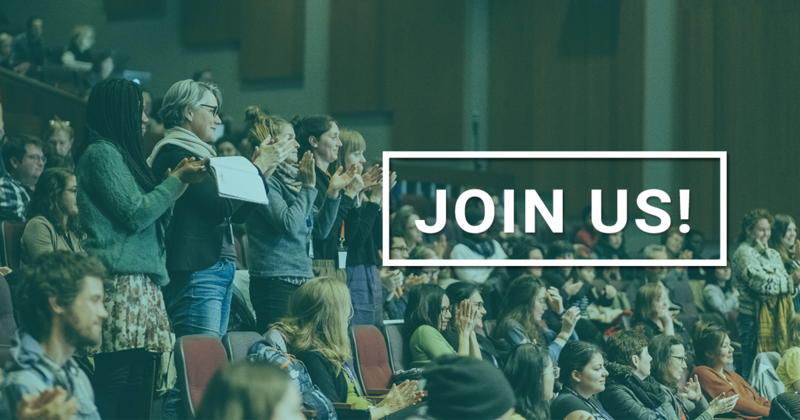 Food Secure Canada will be inviting the hundreds of organizations involved in our recent campaign to submit their ideas and mobilize their supporters in building a new policy for food. Stay tuned for updates on food policy! What do you think is the most urgent thing for Food Secure Canada to do with regard to a national food policy? Share your views on our Facebook page or comment this article. Permalink Submitted by alexpaul on Fri, 2018/03/02 - 2:23am. This is indeed a good movement that will provide us with nutrient and healthy food. With this food policy in action, I believe that we will be able to produce foods without any adulteration or chemical pesticides. Permalink Submitted by vishakha366 on Wed, 2019/02/20 - 12:45am. I really like the way you have shared such kind of informative website and i was getting bored and then i found many things from this article.You did such a great job and i wish for more in future.